We get some crazy calls here at the IPC, including some that are a little gross—such as when someone has eaten a BUG. Although we are technically a few days into fall, the weather here in Illinois has been decidedly summery. So why not cap off a week of 90-degree days with a list of the most common type of bugs swallowed by people in Illinois? 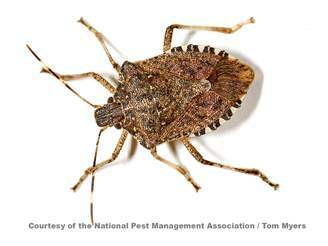 The brown marmorated stink bug is found throughout Illinois and is considered an agricultural pest. As the name implies, they are also offensive to the nose. The chemicals that produce the nasty smell are called trans-2-decenal and trans-2-octenal. Trans-2-decenal is also found in the herb cilantro. This is why the scent of these critters has been described as “a pungent odor that smells like coriander” (coriander being the seed of the cilantro plant). This is also why a lot of people, myself included, have an extreme aversion to cilantro—it’s like eating stink bugs! Despite the odor, they are not poisonous or toxic. 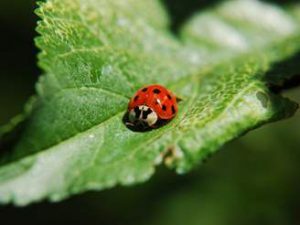 These insects pop out in biggest numbers in the fall, so keep an eye (and nose) out! Moths and butterflies start out as caterpillars. While there are many individual species throughout the world, those found in Illinois are not toxic. Still, if they are swallowed, the little hairs on the outside of their bodies can cause itching and irritation to the skin. Enough irritation to the mouth or throat can lead to swelling, and in turn, trouble swallowing or even breathing. Best to keep these guys out of the mouth and inching around on the ground. Also known as the firefly, although these critters are actually beetles, not flies. Many of us have childhood memories of catching them in empty pickle jars in the backyard. Their glow—the technical term is bioluminescence—comes from a chemical reaction in their abdomen. 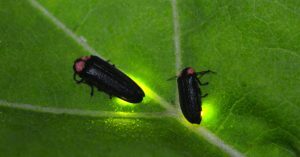 The lightning bug is another flying snack that is not poisonous (despite the fact that they literally glow in the dark). Definitely the grossest one on the list, maggots are essentially, baby flies—the stage in between being an egg and an adult fly. Maggots are not toxic, but they are often ingested along with spoiled food, so there is a concern for bacterial contamination in that case.